Published by Mountainblog on 01/16/2018 . The new Jackson and Terra helmet is first focused on design and style. The sleek new standout helmet lines created an opportunity for an evolutionary step forward in new performance and functional attributes. 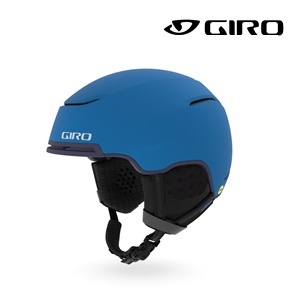 This modern helmet profile was realized through the new Passive Aggressive venting system – a design inspired by the aerodynamic airflow of high-end auto design. The discrete, yet powerful system effectively manages airflow and temperature while in-motion riding, hiking or standing static. The overall look is finished with a slight brim and subtle lines for Seamless Compatibility with Giro goggles. The new Jackson and Terra feature MIPS technology, an ultra- lightweight construction and the dialed In-Form 2 Fit system allowing riders to confidently focus on the terrain ahead. Leave no line untracked in the new standout freeride helmet. The discrete exterior vent design and interior-channelling (including the liner and padding) combine to create optimal airflow and temperature regulation. This auto-venting technology manages airflow and temperature while in- motion riding, hiking or standing static. This technology defines the unique look of the new Jackson helmet while providing performance in any situation.